Disposing of a car can often be stressful. You sometimes tell yourself that you are going to get it repaired and start driving it again. Things come up and you just don’t get to fix that old car. Now it sits in one place and nothing is happening with it. Days, weeks, months and years go by and the car is in the same place you left it when you declared that you were going to get it fixed. Now you are faced with the possibility of getting rid of it. First, you think about selling it. The car is not working and most people want a car that they can drive right away. You then think that you can operate like a junk yard and sell the parts. Then who is going to seek you specifically for parts from your old car? Second, you look up ways to repair it yourself and the tasks seem to be more in depth than you can yield time to. Once you are in this crossroad, what do you do now? Well, there is a solution to your problem. You can give ABCM Car Removal a call and we can assist you with your car disposing needs. We will take some information from you and let you know what would be your best option. Bottom line, you get paid and no longer have to deal with that old car again. Where Does My Disposed Car Go? What happens when you dispose of your old car? That is a good question. ABCM Car Removal comes out to pick your car up after paying you for it. It is then taken to our scrapyard location where it is assessed for operation. If it is determined that is can be driven again, then it will be sold for that purpose. If the vehicle is deemed non-functional, then it is dismantled for parts. 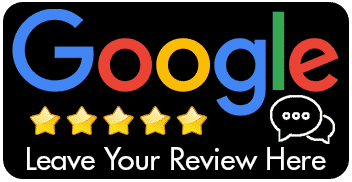 Now, unlike the idea that you had to sell the parts off the car, ABCM Car Removal is sought after for this reason and people depend on them to have what they need. So, your car is always serving some purpose whether it is working or not. And by the way – no, it does not go to a place in the sky where deceased cars end up. What’s The Purpose of Disposing a Car? There is a great purpose that happens right down here on the planet and someone or many will reap the benefits. There is nothing to worry about when you dispose of your old car. It will be a gift to those that need if for whatever reason possible. You get paid in the process because you no longer have to worry about what you are going to do with it on your property. This information would all be disclosed to you during the conversation that you have with ABCM Car Removal. 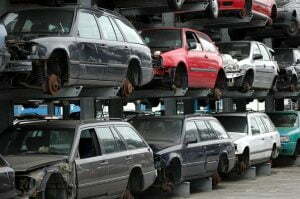 Now that you know where your car goes when you dispose of it, give them us call and have that conversation about your old car. We are standing by waiting for you.